One of the wonderful things about living abroad is the chance to host friends and relatives at our place and show off the beauty of Turkey. So when Mike’s dad Jim came all the way from White Bear Lake Minnesota to Ankara for a visit a few weeks ago, we were glad to welcome him. Plus it gave us the excuse to head out on a road trip to revisit some of our favorite places, and take in some new sights. Dad arrived in his usual good spirits and settled right into Ankara and letting us take him in to town for dinner. During the next few days, some of our Bilkent friends showed him around the highlights of Ankara, and when he had a break from that, he enjoyed hiking the ‘wilderness’ trails of Bilkent University with our trusty hound Remington. Then, on Friday when school let out, Akasha and I picked up our rental car – a sturdy Hyundai – and the great Jim in Turkey road trip of 2o14 began. Our first stop was Cappadocia, which you may recall that we’ve been to before, and might be wondering whether it’s worth going to again. The answer is a resounding YES YOU SHOULD GO MANY TIMES! There’s always something new to see, and the things you remember are just as spectacular if not more so. 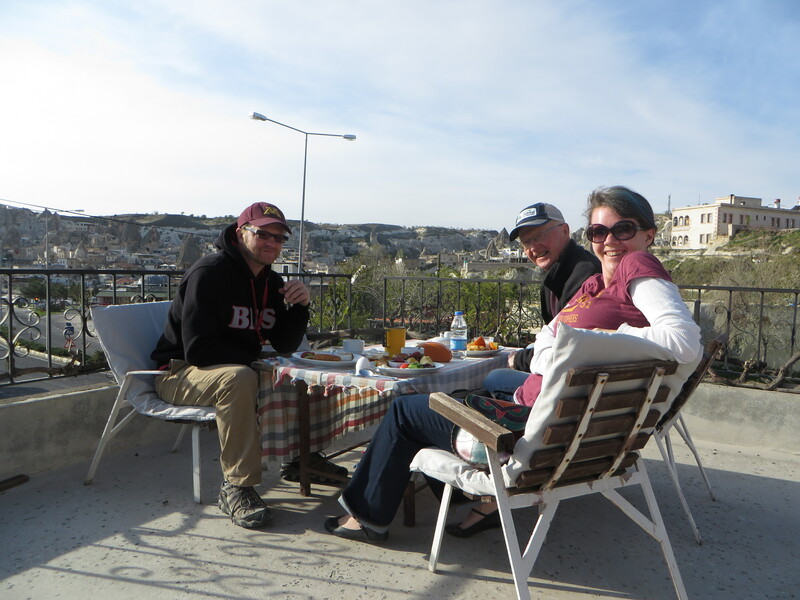 Our hotel had a beautiful patio with a great panoramic view of the valley, and on our first breakfast Dad discovered the delicious joy of sigara boreks, honey and cheese, and cucumbers and olives for breakfast. From the patio we could also watch a balloon company’s headquarters across the street, where a steady stream of baskets, propane tanks, and balloons on flatbed trucks returned from the fields where they’d landed after the morning flight, were cleaned and covered for the day. We spent the day wandering the red and rose valleys of Cappadocia, in and out of the caves and churches, stopping for juice on a hillside cafe. In the evening, we stopped for dinner, and then Dad had more ice cream. The next morning was our balloon trip. with Turkiye Balloons. We woke well before dawn, and were picked up at the hotel by a shuttle bus that took us to breakfast, then down to the launch fields. Here, dozens of balloons were being inflated in the calm morning air, bright nylon colors reflecting sunlight, fluttering under the hot air being fanned into them as they rose, held in place by stubborn attendants on the ends of ropes or just grabbing the nylon. After twenty minutes or so the balloon was inflated, the basket uprighted, and about 20 tourists climbed up over the edge. After a pause for safety directions, (and pictures) we rose off the ground and went over the canyon on the slow steady breeze. was spectacular. We passed over the valley we’d hiked through the day before, drifting and oohing and awing and grinning like little kids. Our group was a great mix of Koreans, Russians, Spaniards, Argentines, and us Americans. Our pilot was great, he told jokes and tried to speak to everyone, a bit, in their language. When the balloon finally landed – right on the bed of the flatbed trailer that would haul it back across town – we got out, celebrated with a glass of champagne, and were bussed back to our hotel.We celebrated again, later, with ice cream. After our flight we went down to Mazi to see a cave city that was off of the beaten path. We pulled up to the village and were greeted by a group of guys. One of them is working on the restoration of the underground city and he gave us a brief breakdown of what his neighbor would show us. 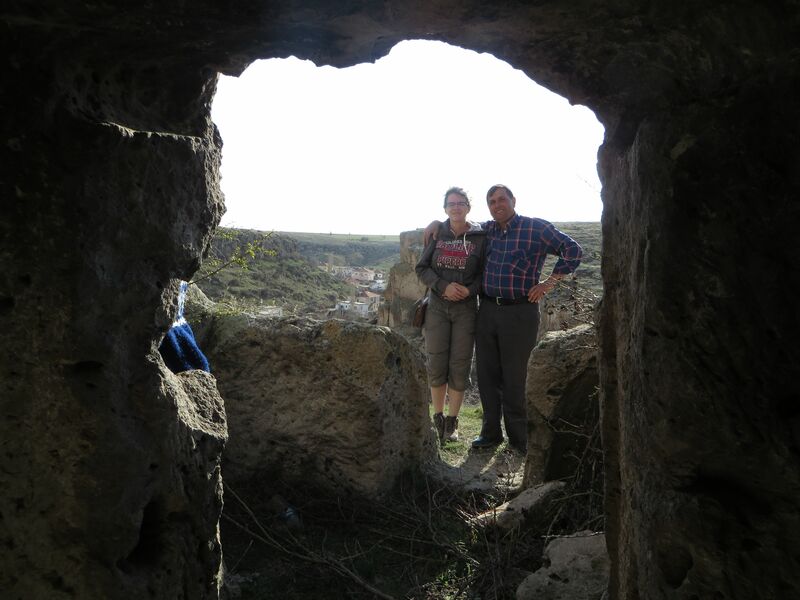 Then we went up to the top of the hill where he showed us several ancient pre-hittite tombs of stone in the old cemetery. After this we walked back down to the road and went into the underground city. These cities had everything – wine cellars, nurseries, kitchens – even a stable where they kept animals! The rooms were linked by narrow tunnels we had to duck-walk through, and vented by narrow shafts that led up to the surface. 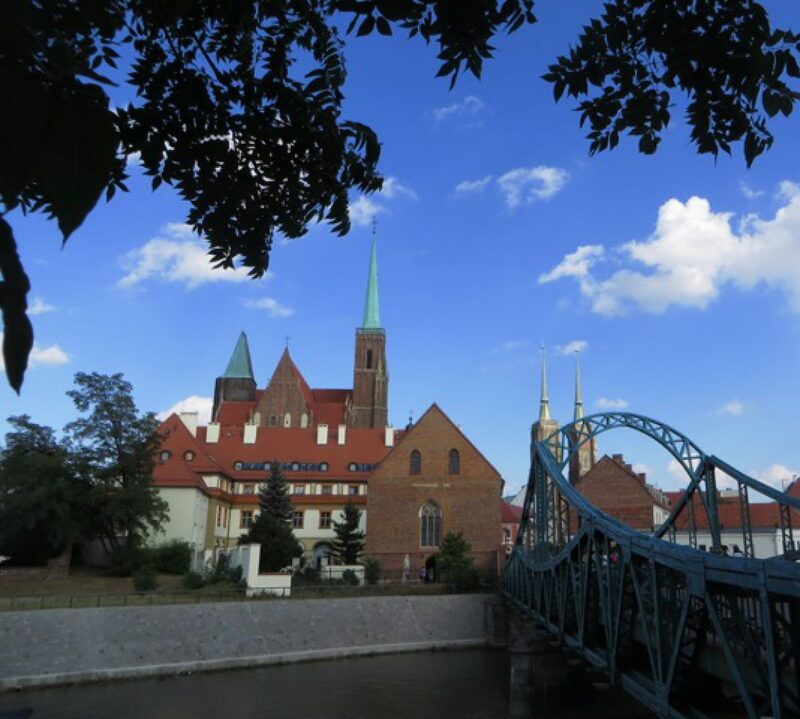 We poked around ten or fifteen rooms, which our guide said was maybe 1 percent of the whole city – it was sobering to think of the people who had spent their lives there. Afterwards we had tea with our guide and the guy working on the restoration – they were incredibly friendly and warm. It was a unique opportunity to see the town before it becomes commercialized, and I’m glad we were there. 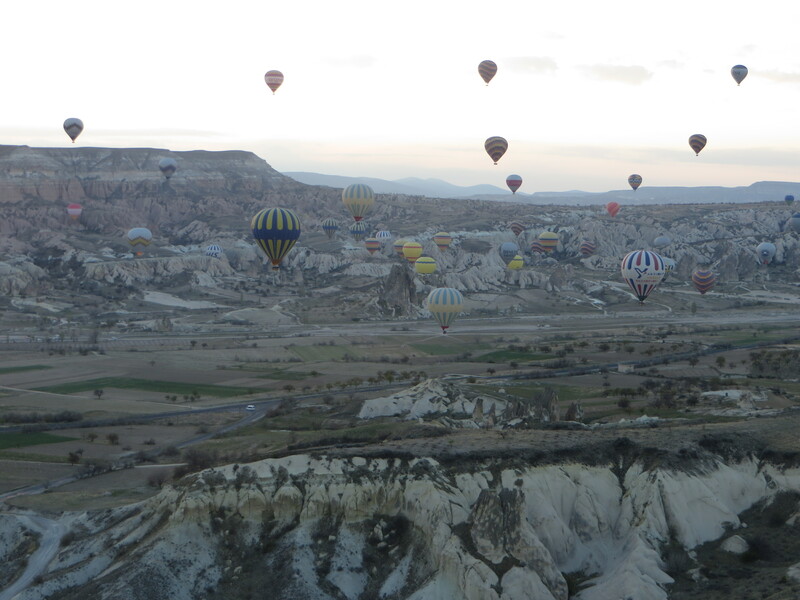 Sadly, we had to leave Goreme and Capaddocia. Our rented Hyundai took us down through Konya – home of the Mevlana museum, where we stopped for, I think, ice cream, then down the coast to Antalya. Antalya is a nice little historic town on the Mediterranean sea surrounded by a sprawl of resort communities owned mostly, it seemed, by foreigners – I wouldn’t not recommend it, but I wouldn’t tell you to go out of your way for it. We had a nice dinner at a fish restaurant, and stopped by the Anatolian museum of antiquities, and after a few days, we were on our way again. I’m pretty sure we stopped for ice cream somewhere as well. 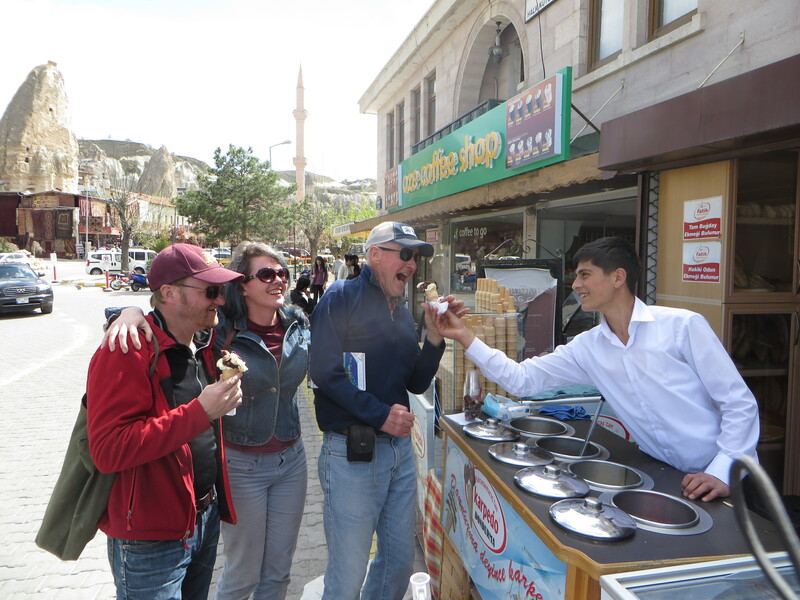 Turkish ice cream, dondurma, is extra sticky, which allows it to cling to the long steel rod the vendors use to scoop it up. This stickiness allows for lots of tricks, and the street vendors who serve it up have developed whole carnival routines to mess with the heads of people buying it – I wish we’d filmed it. But Akasha, dad, and I all got a kick out of watching them fling 5 kilo slabs of ice cream around, and play with the cones, faking handing it off and pulling it away time after time. Our next big stop was in Selcuk. 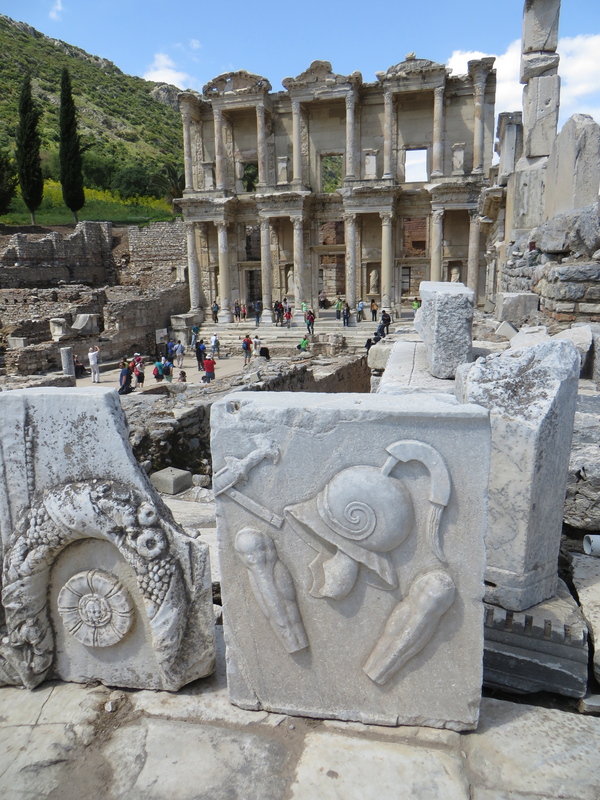 This is another beautiful little town near a historic city, the ruins of Ephesus, once a thriving commercial port and home to Greeks and Romans for centuries before a receding coastline and series of earthquakes turned it into a ghost town that wasn’t dug out again till the 20th century. We wandered through the impressive restoration work, including the great amphitheater that once seated 15,000 people, and the facade of a great library three stories high. We ooed and awed and craned our necks, and giggled a little bit at the presumably original public toilets, with their tiny openings just a few inches apart. They’re probably technically functional, though this is highly discouraged. From there we went up to Bursa, a smallish city we’d chosen mainly to break up the 10 hour drive back to Ankara. There are beautiful things to see in Bursa, and great ski resorts on neighboring Ulu Mountain, but we were getting tired, so we just had dinner at a small diner and retired early. Driving out to the Aegean sea to watch the surf. Driving up to the assumed final home of Mary, Jesus’ mother. The ruins of St. John’s basilica. Stopping off in a national park on the migration path of pelicans and cormorants, watching them by the hundreds nesting and feeding on the banks of a lake. Our return to Ankara, where Jim visited the Anitkabir, resting place of Mestafa Kemal Ataturk, founder of the modern Turkish state. And everywhere we went were friendly people who told us about their lives: men who ran fruit juice stands, journalists from near the Syrian border, women who studied the Koran on the train while on outings with their girlfriends, little kids playing with their parents. I wish we could write them all up and give you sense of the scale of Turkey, its sweep and history and rich vibrant life. I have to give credit on this to Akasha, the most outgoing travel companion you’ll ever have, who makes friends so easily I wonder how everyone can’t do it. Well, I do go on. But. The most important thing that we learned, from all we did, was that Jim likes ice cream. A lot. 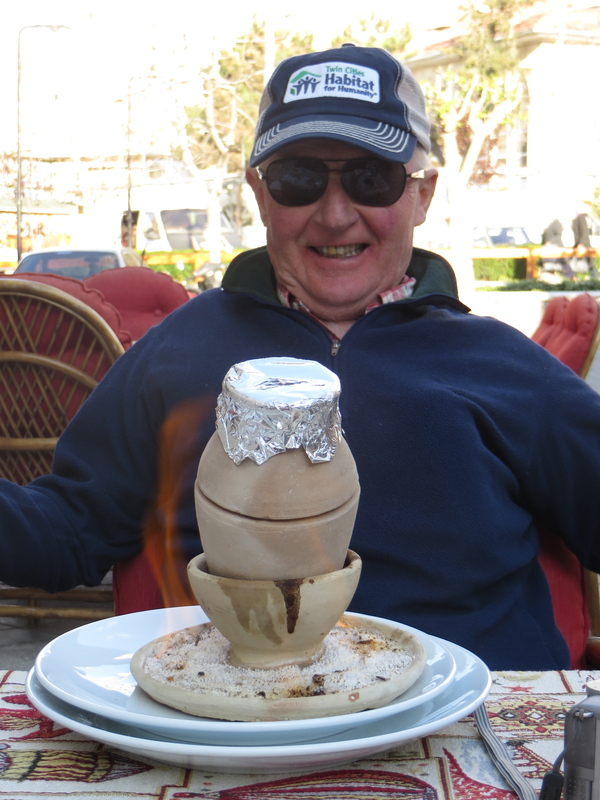 On our final days in Ankara, dad set some kind of ice-cream : body ratio record in his three weeks of visiting. We salute you, Jim. Intrepid traveler, good sport, great father and friend. We miss you! Did we mention that we have a spare room for you, when you’re ready to move in?